the Isles of Miles version is breathtaking, I can hear it all day long. Joni at her best. perfection. One of her songs I identify so much with. I had a crush on a cute blond in high school who used to play this side of the album every time I'd come over to her house. 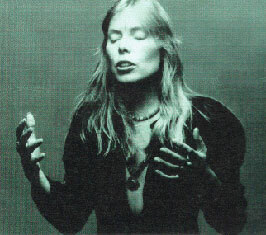 I sort of rediscovered Joni a few years ago and had so much fun buying and playing the cds till I got to this song.